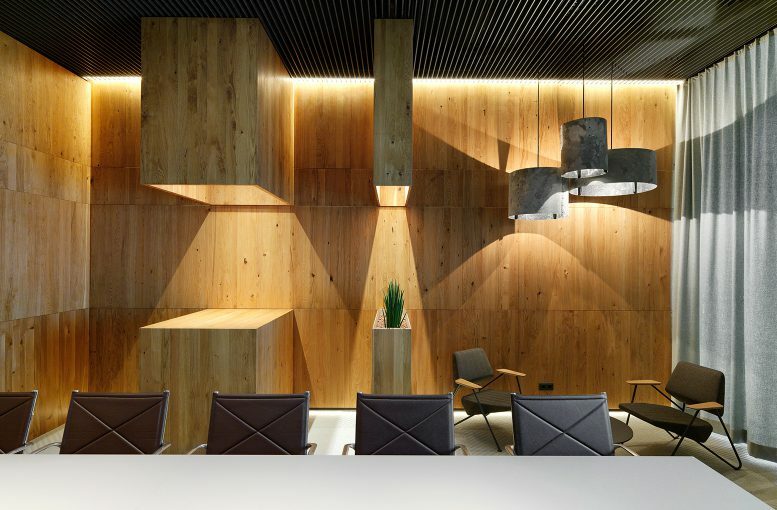 Because of the transdisciplinary infrastructure at INNOCAD, an architecture firm based in Austria, the team manages numerous international architecture and interiors projects, which include residential, office, hospitality, healthcare, mixed-use, retail and interior design. One of the team’s signature office projects is the 2011 conversion and redevelopment of the Microsoft HQ in Vienna, Austria, which is one of the pioneer examples for “New Work.” The project drew international attention, published worldwide in architectural, design and business media outlets. Since then, the client has reported an increase in visitor numbers as well as outstanding staff response – which led to another INNOCAD commission in 2015 to convert the Microsoft Executive Lounge into the next generation of meeting spaces. Mohawk Group’s award-winning Moving Floors collection, designed by INNOCAD’s product design studio 13&9 founded by architect Martin Lesjak and designer Anastasia Su, underlines the vision of transformative atmosphere by providing zoning for this multifunctional, open space. With an aim to create a unique dialogue between the individual and the environment with a focus on modularity and compatibility, Moving Floors has enabled a flexible application for visually accented zones. 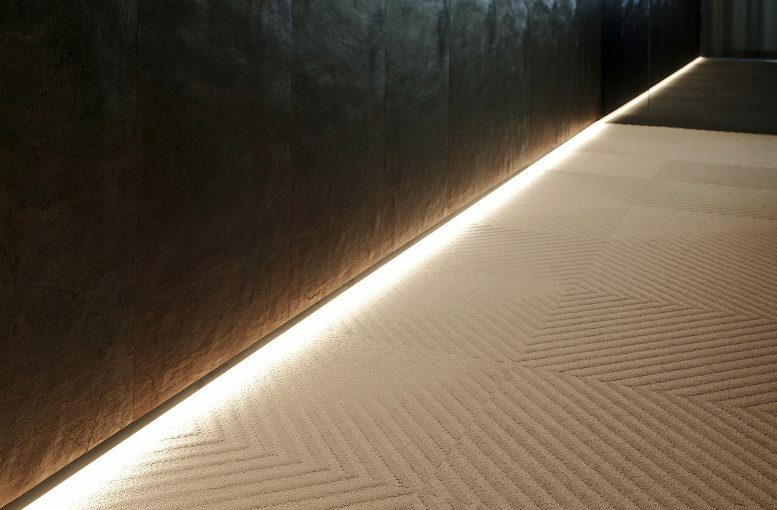 By using variable lighting, the relief textures and plain flooring tiles offer consistently unique appearances that depend on the user’s point of view. 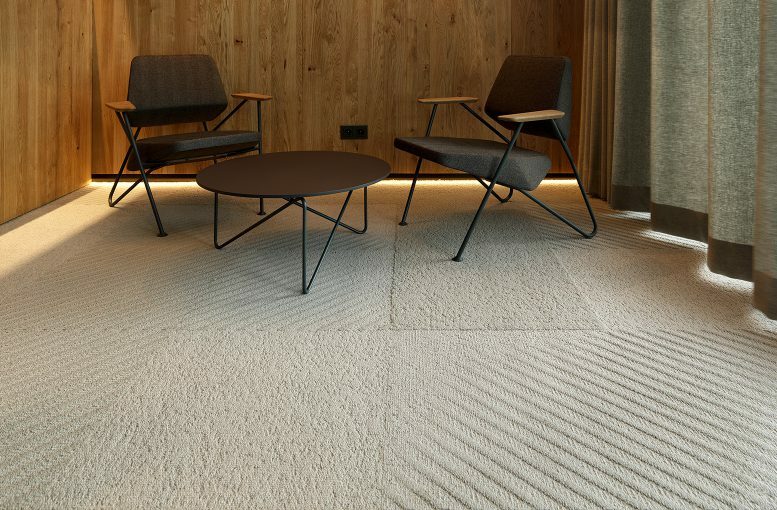 For our innovative concept it was essential to implement a flooring solution that stimulates users on an emotional and creative level with its modularity, textural performance as well as an interaction with the different lighting moods. With Moving Floors we had a perfect design tool that has enabled us to fulfill client requirements by creating personalized solutions that blend into a holistic interior.